Scott Douglas Jacobsen: What was early life like for you? Were arts and culture an important part of it? 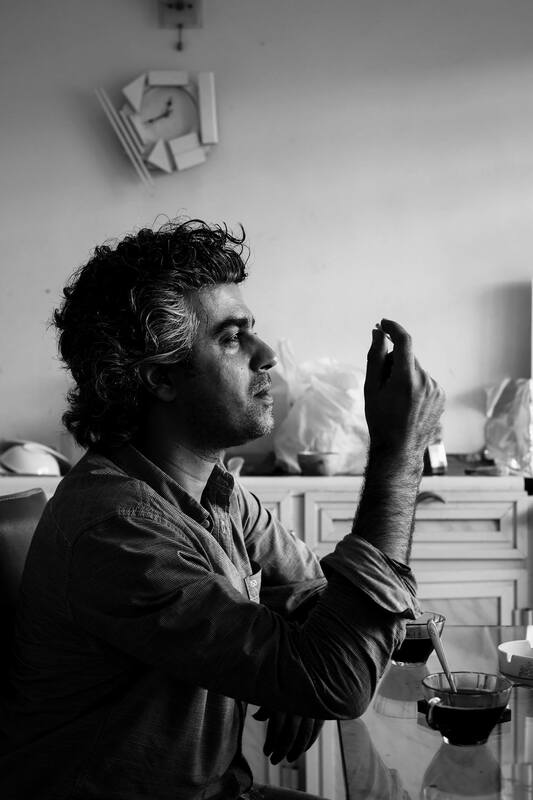 Sherko Abbas: I come from a family that is deeply engaged in both art and politics. One of my uncles was a sculptor, he graduated from the Baghdad Academy of Art in the 80s. Another one of my uncles was a poet. My father was a war cameraman and filmmaker. In the 80s, he had filmed the battle between Saddam’s forces and the Kurdish opposition parties that stand against Saddam’s regime for the liberation of Kurdistan. He also established the first Kurdish TV channel, after the Kurdish revolution in 1991, called “Gali Kurdistan.” It was known as the mother of Kurdish TV channels. Spontaneously, they were active members of Kurdish revolt during the 80s. Of course, this has had a lot of impact on my career as an artist. My works are a focus on the geopolitical situation of contemporary Iraq. So, most of my works revolve around these concepts. Jacobsen: What has been the long history of Kurdish arts and culture? Anyway, for me it is not important whether you have your own art or not, what is important for me is how much you as country or nation are able to participate in the world’s contemporary art or whatever you want to call it, because participating is not easy, it requires willingness and preparation from both culture and government. Unfortunately, until this day, Kurds are not a participant (the only thing that we have are individuals and they are artists). Therefore, from my perspective, it’s very important to participate and to engage with Kurds, so that they have their own art or not. Jacobsen: You are a Kurdish artist based in the UK. You presented in Venice in 2017. What was the exhibit theme? What was the reaction to the art for the presentation to the general public? Abbas: Yes, but my stay in the UK will not be permanent, I don’t know how long I will be around, but I’m only here to do something important, which I will talk about it briefly. Many of my father’s archives were brought to Europe throughout the 80s and 90s in order not to be destroyed and be protected in a safe place. Safe places like Germany, France, and the United Kingdom, despite the fact that many of these archives have been used for screening, to show European countries what the situation looks like for Kurds in Iraq. It is also used by numbers of world TV channels and filmmakers without my father’s permission and even with zero credit for his work. I would say, I’m here to figure out a way to get them back to the owner. About the Iraqi pavilion in Venice, the concept was suitable for the works that I was busy with, 6he title of the Iraqi pavilion was “Archaic”. This word is used for those things we no longer use today or they are memorabilia. This was co-curated by Tamara Chalabi and Paolo Colombo. In general, I was very happy my work was accepted. There was a lot of discussion about it; many people had seen it. There were also many artists, curators, and art journalists from all over the world. Jacobsen: What distinguishes Kurdish art from surrounding countries’ art – surrounding to Iraqi-Kurdistan? Abbas: If I understood the question well, what is the difference between the art made by Kurds in Iraq and the Kurds in the other parts of the world! Well, in general, there are some concepts that is used more by Middle Eastern artists such as violence, war, trauma, and the sublime because our countries go through similar problems, so we might be show different fragments but still, we are sharing the same interest.